Browse for and select SpiritClips to download and install the app. 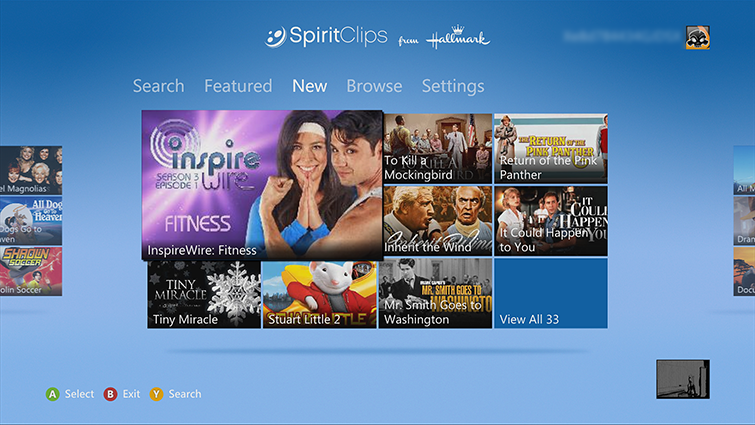 To start the SpiritClips app later, go to apps, My Apps, and then SpiritClips. If you're already a member of SpiritClips, select Already a member and go to step 3. If you're not already a member of SpiritClips, select New to SpiritClips to browse the content prior to activating the app. 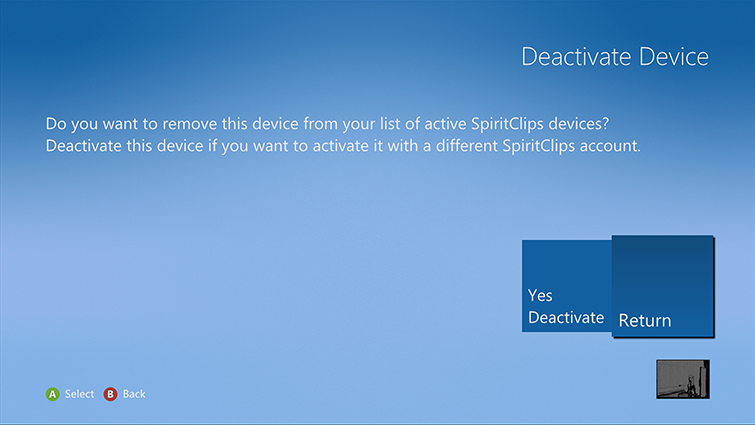 You must complete the activation process and have an active account to watch SpiritClips content. Select Already a member to access the "Activate your Xbox" screen, where an activation code will be displayed. 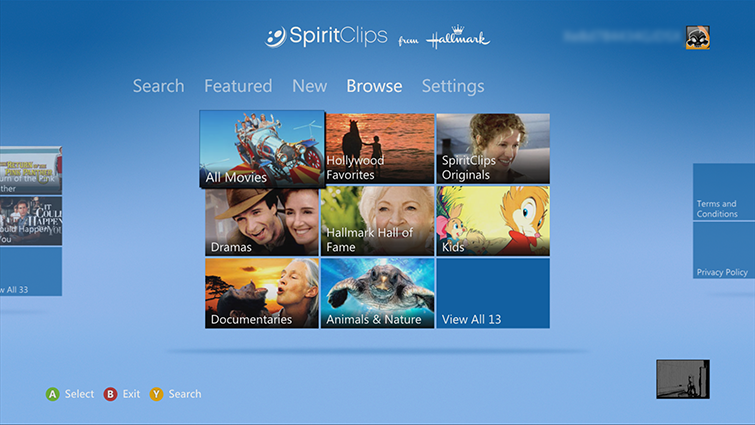 In a browser on a PC or other Internet-enabled device, go to hallmarkspiritclips.com/xbox. 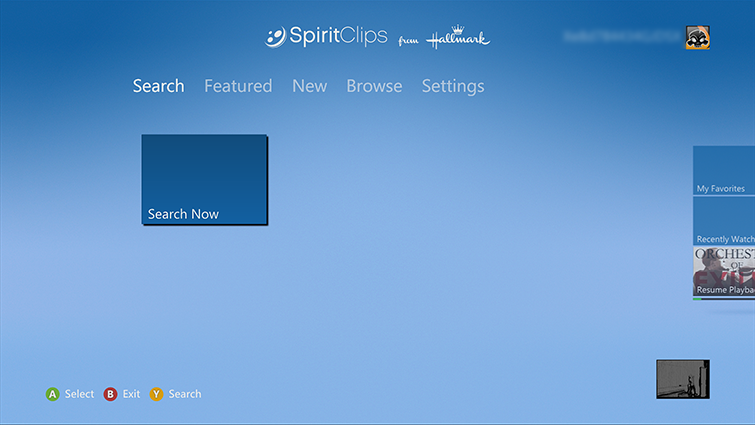 Sign in to your SpiritClips account. If you don't have a SpiritClips account, follow the steps to create one. After you've signed in to your SpiritClips account, enter the code you saw in step 3. 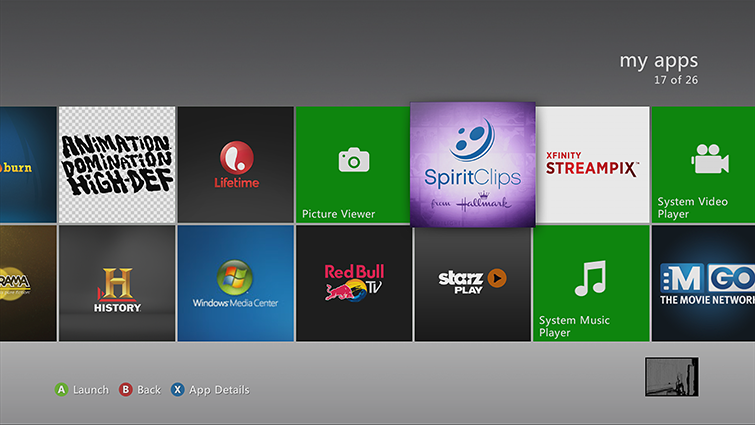 After the code is verified, you'll see a success screen on the SpiritClips website and on your Xbox screen. Go to apps, My Apps, and then SpiritClips. From the Featured hub, you can select any of the featured content or review your My Favorites or Recently Watched lists. For additional browse or search options, scroll left or right. From the Search hub, look for programs by name. At the New hub, browse recently-added content. At the Browse hub, browse available content by category. Select something to watch and then select Play. Go to Settings and select Deactivate Device. On the Deactivate Device screen, select Yes Deactivate. 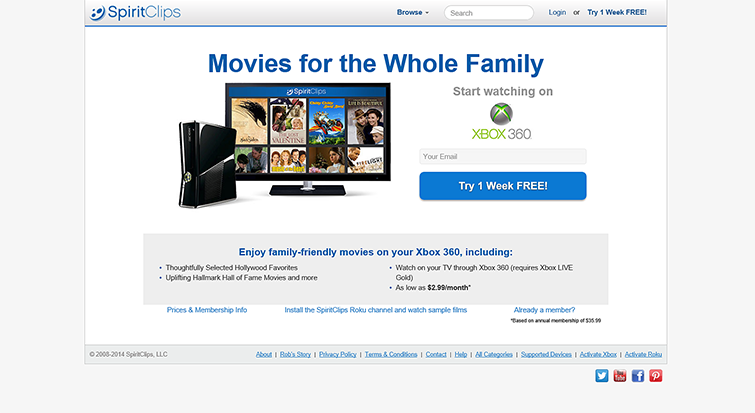 If you use Family Settings to control which movies and TV shows can be watched through Xbox Live on your console, the SpiritClips app will follow those settings. For example, if you prohibit R-rated movies or TV-MA-rated TV shows from being watched on your console, those programs will be marked in the SpiritClips app with a “restricted” icon. To play a restricted item, an adult must enter the Family Settings pass code. 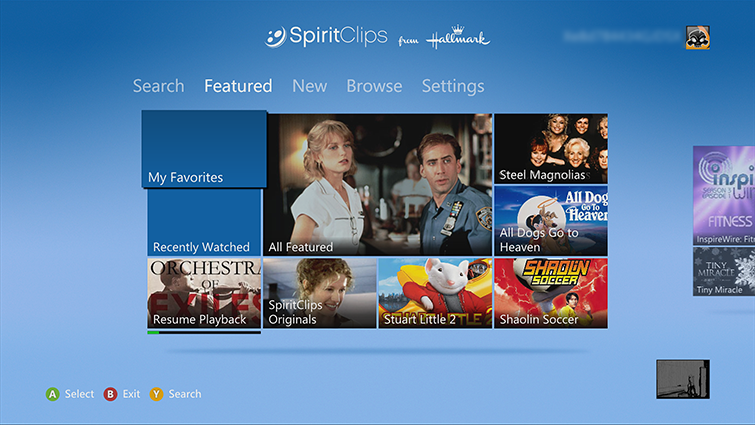 Would you like to contact Support regarding the "Set up and use the SpiritClips app on Xbox 360" issue you were reading about or a different issue?